Prominent Belarusian researcher and cultural figure Anatol Bely died in Minsk on the night of November 14 at the age of 71 after an unsuccessful battle with cancer. Mr. Bely, who would turn 72 on December 10, was born in the city of Staryya Darohi, Minsk region. In 1967, he graduated from Belarusian State University. 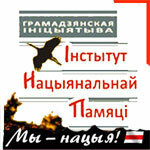 He was among the founders of the Belarusian Popular Front and the Francisak Skaryna Belarusian Language Society. In 1999, he opened a private fine art museum in his house in Staryya Darohi, which currently consists of four buildings and eight rooms, and contains about 1,700 exhibits. Mr. Bely made a major contribution to putting up statues of prominent figures of Belarusian culture, including St. Eurphrosyne of Polatsk (1110–1173), scholar and humanist Francisak Skaryna (1486-1540), poet Mikola Husouski (1480-1533), Cyril of Turaw, a 12th-century bishop and saint, and others, in the courtyard of Belarusian State University. 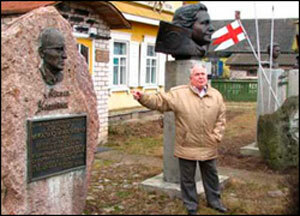 Mr. Bely was a member of the Union of Artists of Belarus and the Union of Belarusian Writers. Mr. Bely is expected to be buried in Staryya Darohi on November 17.